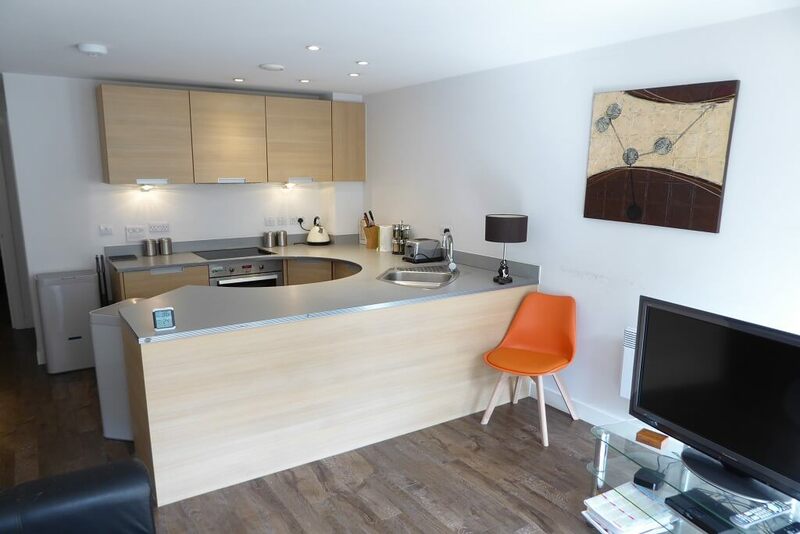 York Laurent are pleased to present this fantastic owner occupied apartment in the I-land development. 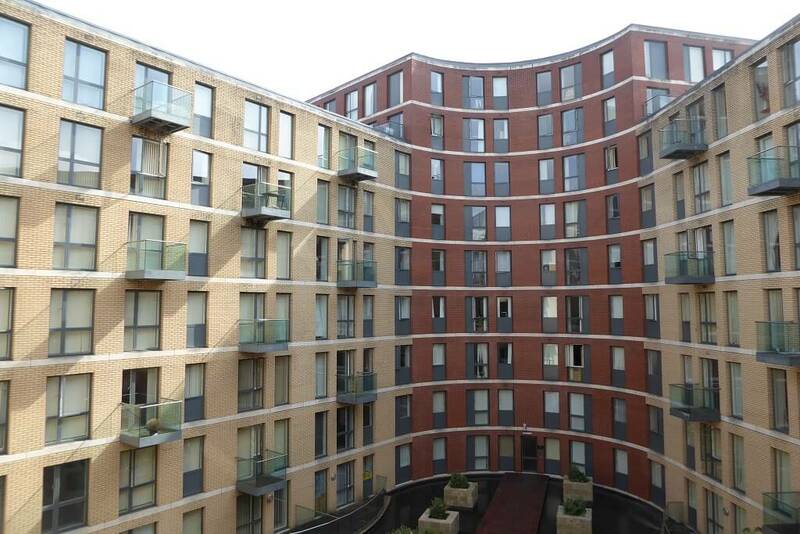 This immaculate apartment offers a high quality finish and views over the central courtyard of the development, offers 24 hour concierge, and is just a short walk away from New Street Station. Attention all buyers & investors. 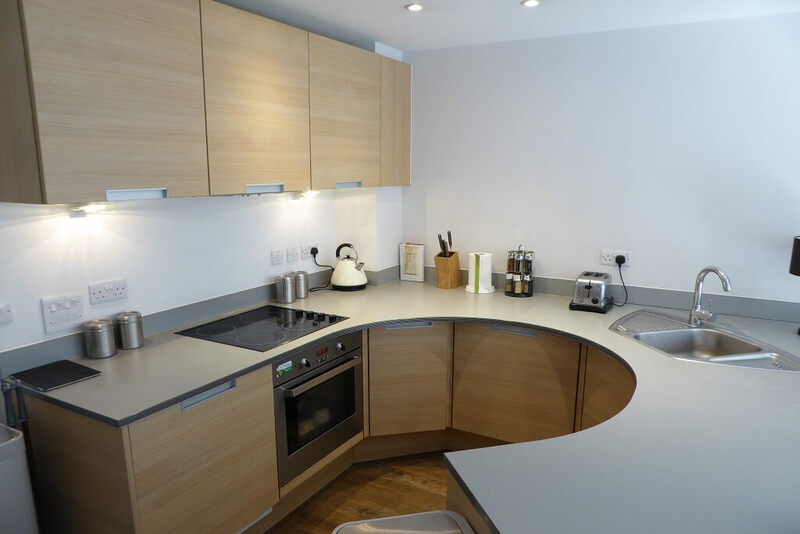 York Laurent have available this fantastic, key-ready apartment at one of the City Centre’s most popular developments. This attractive one bedroom apartment is individually designed and located on the fourth floor with an aspect overlooking the attractive courtyard with water feature. Accommodation comprises reception hall, open plan living/dining/kitchen, master bedroom and bathroom. I-Land benefits from a secure door phone entry system lift access and 24 hour concierge service. 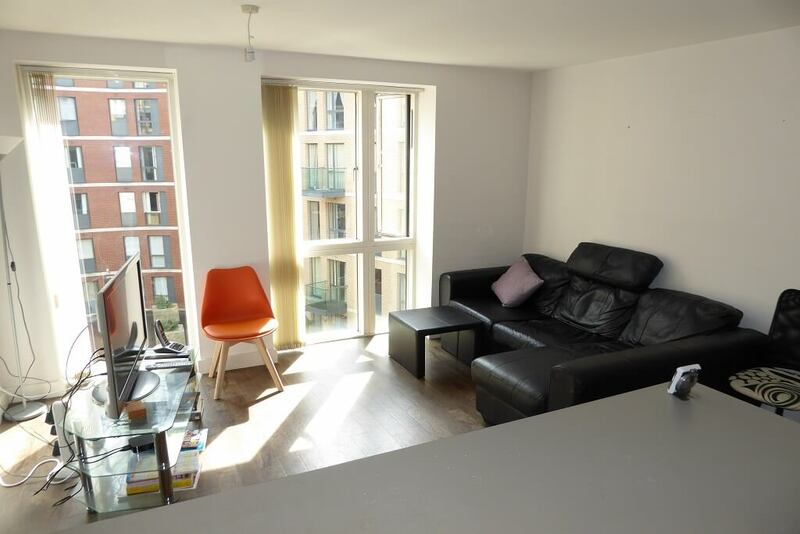 Previously tenanted from 2016 to 2017 at £750pcm*. The I-Land development combines low rise architecture with integrated commercial and retail space whilst residents benefit from a private courtyard with water feature. 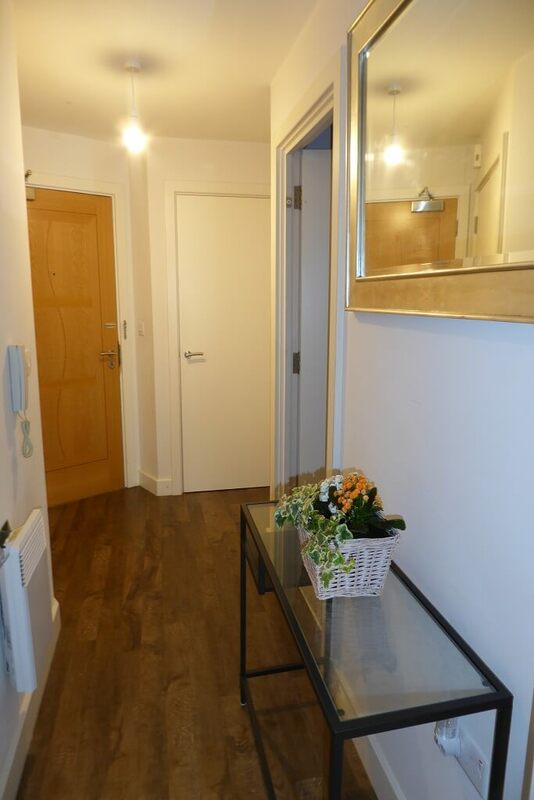 The Arcadian Centre and Hippodrome Theatre are close by and it is also within easy walking distance to New Street station and the upcoming HS2 station. 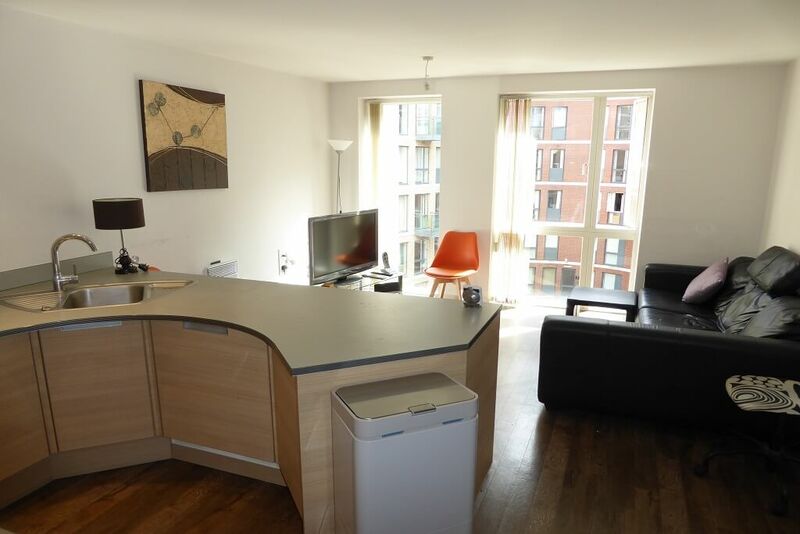 This apartment is well placed to enjoy the retail, commercial and leisure facilities in the heart of the city. • Reception Hall – 3’10” x 11’4” (1.18m x 3.47m) APPROX Wood laminate floor. White panelled doors leading to all rooms with chrome handles. ‘Dimplex’ wall mounted heater. Phone entry system. Wall socket. Light switch. ‘Hyperoptic’ fibre socket. • Reception Cupboard – Providing excellent storage space Ceiling light pendant. Fuse box. Water meter. ‘Ariston’ Washing machine & dryer. ‘PulsaCoil’ Hot water heating system. Additional corner storage opposite. 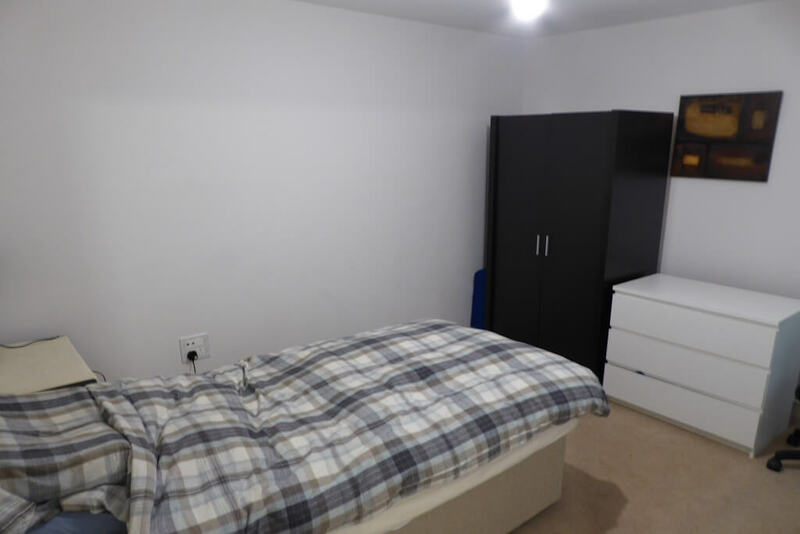 • Living/Dining Area – 12’9″ max x 17’4″ (3.89m x 5.29m) Bright & spacious accommodation. X2 Full height double glazed windows & Patio door with fitted blinds providing excellent natural light with aspect overlooking the communal water feature. Wood laminate floor. TV/FM/SAT socket. Telephone point. Multiple wall sockets. X2 ‘Dimplex’ wall mounted heaters. X2 Ceiling light fittings. • Fully Fitted Kitchen – 7’8″ x 8’3″ (2.35m x 2.52m) A range of contemporary wall & base mounted units. 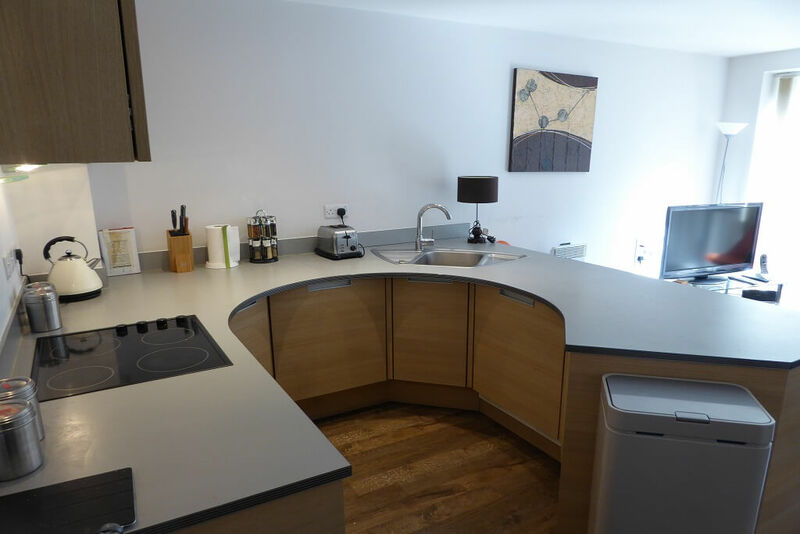 Laminate work surfaces. Integrated ‘Electrolux’ fridge & separate freezer. ‘Electrolux’ electric hob & oven. Extractor hood. Stainless steel sink & drainer with chrome mixer tap. Multiple wall sockets. 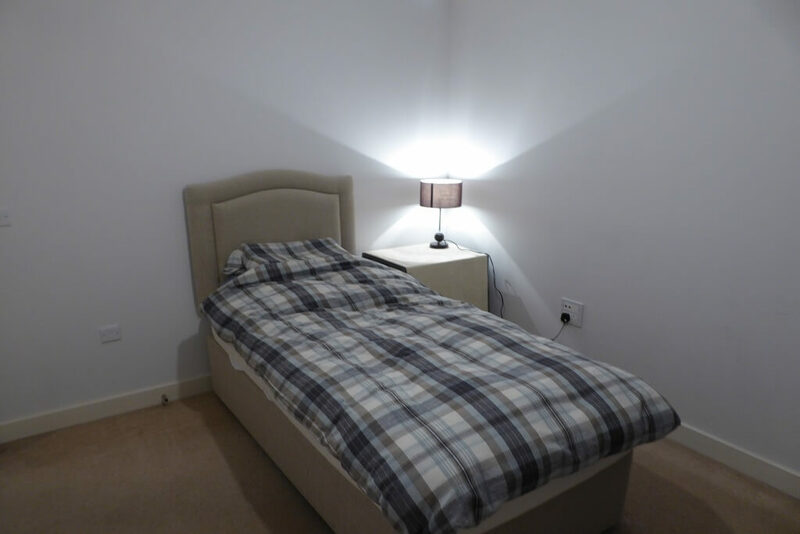 • Master Bedroom – 8’7″ max x 11’8″ max (2.62m x 3.56m) Well-presented accommodation. Carpets. Double wall sockets. TV aerial socket. ‘Dimplex’ wall mounted heater. Ceiling light fitting. 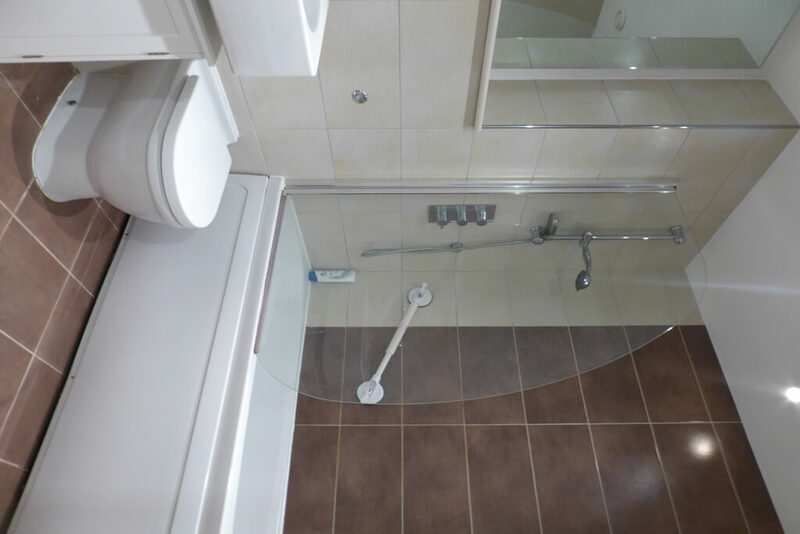 • Bathroom – 7’1” x 5’6” (2.16m x 1.69m) Tiled floor & fully tiled walls. Pedestal wash hand basin with hot & cold taps. WC. Bath with chrome mixer tap & overhead shower. Glazed shower door. Large mirror with extra recessed shelf space. 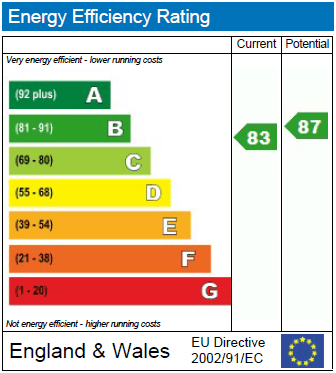 Service Charge: We are advised that the current service charge is £1533.00 per annum approx. This information will need to be verified by solicitors. Ground Rent: We are advised that the current ground rent charge is £300.00 per annum approx. This information will need to be verified by solicitors. 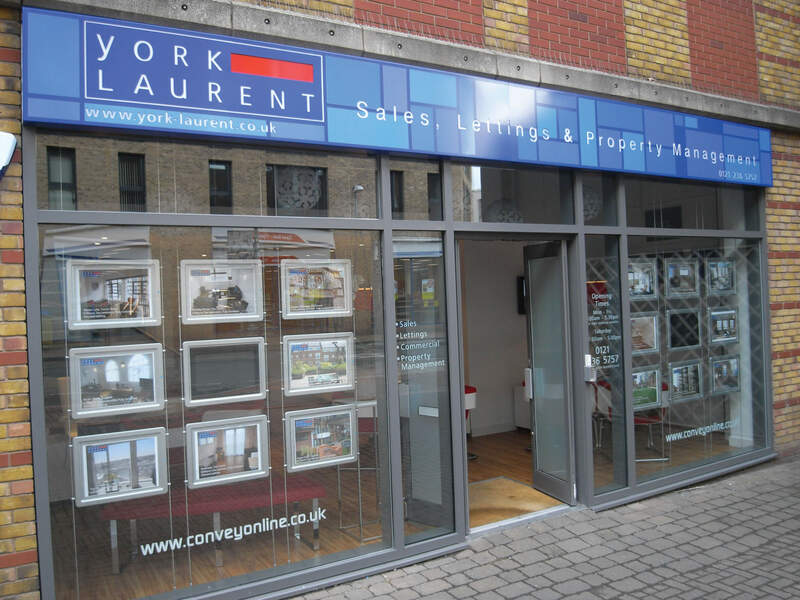 *Previous tenancy price per calendar month quoted at £750pcm by property owner when managed by an agent other than York Laurent and so should be discussed on viewing.